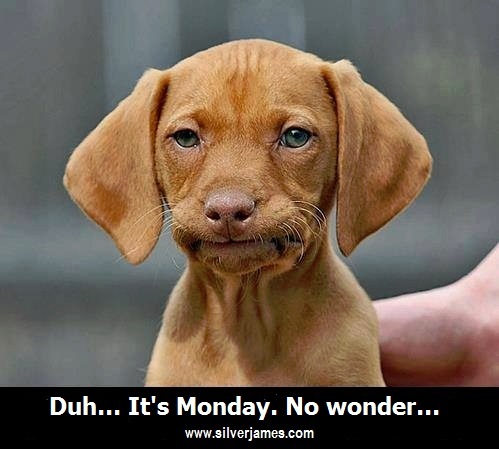 Yeah…It’s Monday. All day. Normally, I set up my blogs the day before. Yesterday, I got distracted. SQUIRREL! BASEBALL! Thanks to switching to AT&T U-verse and their extra sports package, we get Fox Midwest directly, which means we get the St. Louis Cardinals baseball games, including some of the spring training games. Big yay! Now if someone would televise OSU and OU baseball and softball, I’d be a happy spring sports gal. High school baseball is starting too which reminds me to check with The Only to get Baseball Boy’s schedule for his high school team. Writing. I’m doing some. I hit a crossroads yesterday evening, which is why I got distracted–well, one of the reasons I got distracted. The other reason is because I’m old and not always “smart.” Long story. Suffice it to say that it involved courtesy lights on Lawyer Guy’s truck. And getting them to turn off. Because I couldn’t figure out how I’d turned them on. Hey! I don’t drive his truck except on rare occasions. 😛 Still, I was laughing as he texted me instructions. 🙄 Anyway, I like the way Tait and Lauren’s story is coming together. Reading. Other than B.E. Sanderson’s BLINK OF AN I, there hasn’t been much that’s caught my attention. I’m currently listening to Sherrilyn Kenyon’s BORN OF NIGHT, the first book in her SciFi series, The League. I’m also reading Lauren Smith’s GRIGORI, the first book in her new dragon series. And that’s my life in a brief round-up on this sunny Monday morning. How was your weekend? Any big plans for the week? This entry was posted in Writing Life and tagged follow up, Monday, reading, sports, TV, writing. Bookmark the permalink. Shhh, I haven’t even kinda sorta done a post for today. I can’t think of anything worth blogging about this morning. Of course you’re fascinating, dahling. You write it, I’m gonna read it. Yay for Uverse and baseball! Yep, Sticks is awesome. My favorite, though, is Denver Leverett in Indiana. Least favorite, that gal in El Paso. Oh, and that one dude in Maryland. Meh. LOL, your truck problems remind me of trying to find the windshield wiper controls in the last rental I used. And it was raining. Gah. Or Hubs trying to locate anything in my car. Why can’t they just make cars more uniform across the board? Thank you for reading and enjoying my book. You should enjoy Unequal (another dystopian) when I finally get it out late this year or early next. The weekend was spent reading for the most part. But I finally finished Shogun, so now I can move on to some of the books I downloaded late last year. The only plans I have for the coming week are to get started editing Early Grave for publication. And maybe some fishing. Oh, and probably yard work. Those gardens aren’t going to clean themselves and the spring flowers are already starting to shoot up through the leaf litter. Ooh! Another dystopian from you? Yay! I need to find time to do a 3rd novella to round out the 2 I did for a dystopian anthology (The Thin Blue Line) that didn’t get done. They’re too short to put out individually, even at 99 cents. Some day. Go fishing. We’re supposed to hit mid-60s today.